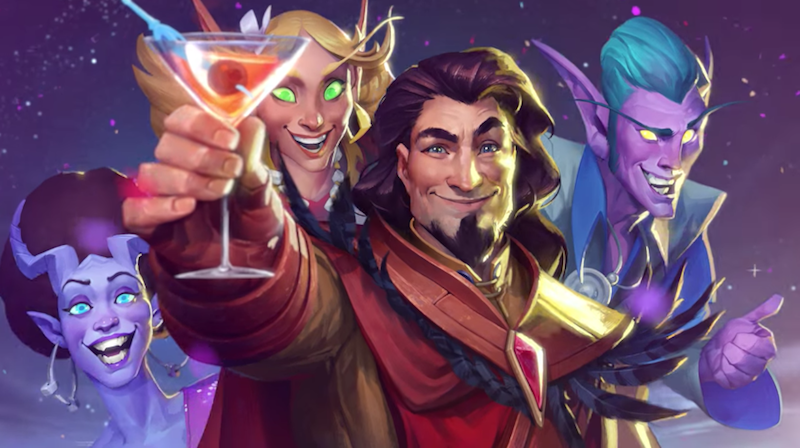 Late last night Blizzard revealed the newest Hearthstone adventure pack: One Night in Karazhan. It’s... well... it’s basically a dance party. The adventure, which starts going live on August 11, has four wings and will cost $20. (You can also buy each wing individually for 700 gold or $7.) As with previous adventures, new wings will come out on a weekly basis. It’ll add 45 new cards to the game including Enchanted Raven (one mana for a 2-2 minion) and Firelands Portal (7 mana to deal 5 damage and summon a random 5-cost minion). Safe to say this version of Karazhan will be a bit lighter than the one we saw in World of Warcraft.